Buying Wet n Wild is an inexpensive way for us get our beauty fix without hurting our wallets. Heck, half the stuff they sell you could buy with change found in your couch cushions. Our readers have had positive experiences with lots of Wet n Wild goodies, but they also shared a few products they wont buy again, no matter how cheap they are. 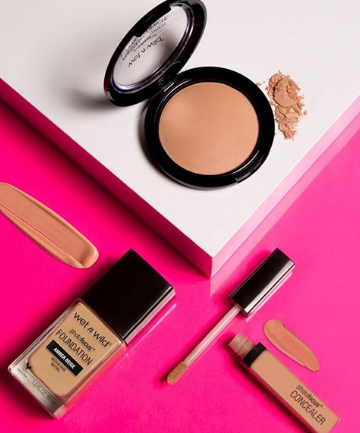 Before you buy Wet n Wild products, check out this guide to what's hot and what's not, and then search those couch cushions or bust open that piggy bank. At one time, I used Wet 'n Wild's "Ultimate Expressions Eyeshadow Palette" almost exclusively. The colors worked so beautifully together that I had brides on whom I was doing makeup choose this palette over Urban Decay's "Nakeds" and others. The large, pull-out mirror was a treasure! I'm sorry they downgraded to the shadows now--not nearly as coordinated, no mirror, etc. I would love to get my hands on a few of these items...unfortunately, loving in a small town, that opportunity might not present itself any time soon. I do love my wet n wild though, even through the typical hit and miss of a low cost brand. Best drugstore brand in my opinion. I love this brand! Great products for an even better price. It's amazing to find such affordable products that work so well. I love Wet N Wild products! Your reviews have insprired me to try a few that I haven't. I am glad you did this report to show others that you don't have to break the bank to look great. I also love these products when I need a beauty fix but I am running low on cash, or if I want to try a trendy color but not sure I want to shell out big cash to do so. These products are great for experimenting. I have never tried any of these but it sounds like are some great products here! Thank you for this!